In just a few short years, smartphones with advanced operating systems have sparked a bright new era of mobile medical applications. Although the Blackberry smartphone had been the device of choice for physicians for most of the previous decade, the arrival of Apple’s iPhone in 2007 revolutionized mobile phones. The highly anticipated release of the iPhone software development kit (SDK) a year later immediately launched a wave of mobile software development and, almost immediately, interest in medical software. As if to underscore this interest, a physician was on stage with Apple CEO Steve Jobs in 2009 demonstrating an early version of Air-Strip, an iPhone application that provided real-time monitoring of fetal heart rate tracings. This was nothing less than a thrilling peak at a possible future where physicians remained connected to their patients’ data, freed from the physical constraints of having to be at the hospital or office. In the last two and half years, a new world of mobile medical applications has flourished. Currently, there are over 6,000 apps classified as health related across the various app stores, although only 30% are directed to clinicians. Still, with the numbers of physicians using smartphones climbing from an already high 72% to a projected 82% by 2012, the market for clinician oriented apps will only continue to increase. 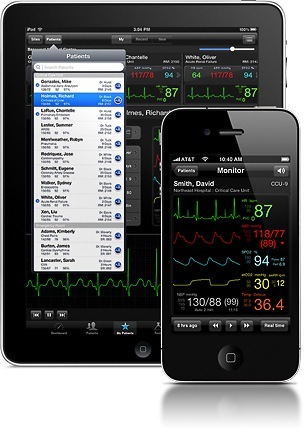 Here at iMedicalApps we review and comment on mobile medical technology and apps from the perspective of physicians. In this column, we are going to explore the world of mobile apps and ask where medical professionals will be going to look for the medical apps of the future. After the iPhone in 2007, the next major revolution in mobile computing was the iTunes App Store, introduced a year later along with the iPhone SDK. Suddenly, users could directly browse a huge array of applications directly on their phones and, with a single click, purchase and install software (“apps”) directly to the device. Along the way, the problems of software distribution – all publishers instantly had global reach – and security from viruses and rogue applications were mostly eliminated. By hiding the complexity of application installation from the user, Apple unleashed a commercial juggernaut and within 9 months, one billion apps were downloaded from the iTunes App Store. The power of simplicity was not lost on other platforms and within a few months, Google launched the Android Market for its then nascent platform. Since then, of course, sales of Android powered phones have skyrocketed and, in December 2010, a dedicated medical section of the Android marketplace was inaugurated. Each of the other major platforms now has its own market, including Nokia (Ovi store), RIM (Blackberry App World), Palm (WebOS App store) & Microsoft (Windows Phone 7 Marketplace). In the same period as the smartphone revolution, rapid advancement in web browsers and software technologies has occurred that could conceivably displace the central role of “apps” in the future. In the first decade after the birth of the world wide web, usually marked by the launch of the first Mosaic “browser” in 1994, the web was essentially a publishing medium. A single entity could broadcast widely using the world wide web but the audience was limited simply to absorbing the content or, at most, purchasing online. The first “Web 2.0” conference in 2004, organized by O’Reilly Media, popularized this moniker. Although there is no canonical definition, Web 2.0 pertains to the web becoming a two way medium. The definition often given is “the internet as platform” or “the participatory Web”. By collecting data from users, brand new types of services and companies could be created. One example is Wikipedia, a user-generated encyclopedia. Another is Reddit, a highly successful news site founded in 2005 that relies on its thousands of readers to vote items of interest up or down. By “crowdsourcing” the editorial process, massive amounts of data could be sifted and the publishing process could profitably be automated. In effect, the rise of a social, collaborative web meant that news, shopping, even software development became group efforts. 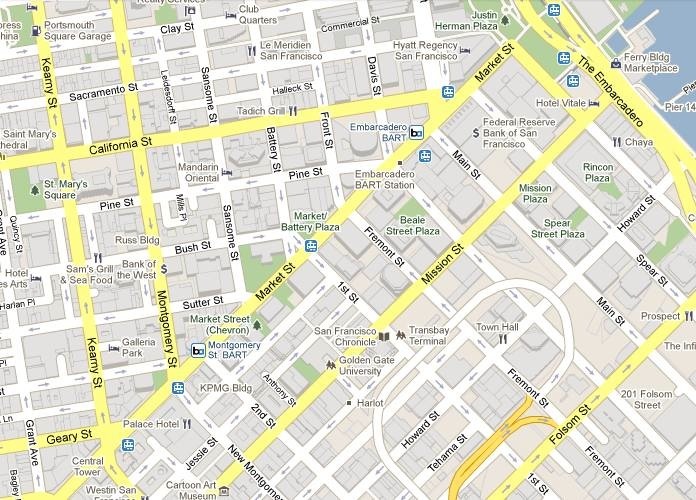 While most people do not think of it as such, a website such as Google Maps is an application, only that it resides on a remote server and interacts with the user (executes) within the confines of a web browser. In contrast, an app such as Epocrates or Microsoft Excel resides within the device and directly manipulates the computer, via the intermediary of the operating system. 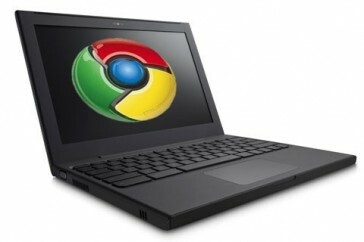 In fact, until recently all software applications were written exclusively to work within the environment presented by a computer operating system. For much of the last three decades, this usually meant the Microsoft Windows operating system. Until fairly recently, the kind of applications that worked within web browsers were just too simplistic to satisfy the wide variety of users’ needs. However, the powerful browser based technologies mentioned above are starting to blur this distinction. Certainly, applications can be delivered through the browser much more cheaply and are far easier to distribute and maintain. Google, by giving away its barebones Chrome OS operating system is betting that web applications can deliver enough rich functionality to displace the role of device-specific operating systems such as Microsoft Windows and Macintosh OS X. The end of Apps ? While the demise of “native” app development and operating systems in favor of web applications has been regularly predicted for more than a decade, will the benefits of economical app distribution and maintenance finally be enough to overcome the shortcomings of browser based apps ? TV was supposed to kill radio. The DVD was supposed to kill the Cineplex. Instant coffee was supposed to replace fresh-brewed.But here’s the thing: it never happens. You want to know what the future holds? O.K., here you go: there will be both iPhones and Android phones. There will be both satellite radio and AM/FM. There will be both printed books and e-books. Things don’t replace things; they just add on. Native apps can run in offline mode and then synchronize with the server when a signal becomes available. Dropped connections are a nuisance for the average consumer, but for health workers they can be “devastating”. Web apps cannot access device features and hardware such multi-tasking, Bluetooth, address books, the camera and microphone. Web apps lack a dedicated, device-optimized user interface and thus cannot be precisely catered to fit a particular device’s form factor, input methods and screen size. Thus, web apps typically deliver an “abridged” user interface. If “native” medical apps are going to be with us for the foreseeable future, how will physicians continue to find and deploy them ? A recently published broad survey of the mobile industry by Research2Guidance predicts that the dominant mode of application distribution in the future will be from doctors, hospitals and other care providers, rather than via the current familiar App stores. While App stores have been a revolution for consumers, this distribution mode is not adequate for health information technology, where isolated data stores are dead-ends. In particular, the ability to reference clinical evidence, prescribe medications, or communicate with other providers is of greatly diminished value unless all parties have simultaneous access to the same patient record. The current generation of medical apps still emphasizes information retrieval – think Epocrates & Medscape. Although AirStrip Ob and Critical Care stand as a shining example of mobile devices acting as extensions of the doctors’ hands and eyes, the main mode of usage for smartphones remains information retrieval. Therefore, it makes sense that hospitals and other provider networks will be the ones to develop and distribute intrinsically networked apps for their providers in the future. These future apps will be powerful extensions of physicians’ clinical tools, seamlessly extending their reach from hospitals and offices onto their mobile devices. The future for medical apps is bright. There will coexist both native and web based apps. App stores will continue to thrive and the market for consumer directed health apps will thrive. However, apps directed at physicians will become increasingly better connected to patients’ clinical records and will more likely be distributed by hospitals and other provider institutions. In future columns, we will investigate these items in further detail. Superb analysis. Agree that market likely will (and should) provide web and native app options. There are pros/cons to each approach — not clear which will win out — and hybrid options also a possibility. I agree that the market, i.e. what actually works well for clinicians, will dictate future evolution far more than any corporate strategy. Also, i note that companies can evolve their platforms (and APIs) faster than browser standards can evolve. Stay tuned as we will have another piece on future medical tablets next week. I expect that in at least one area we will see pushback once patients become aware that some EHR”s are being paid for by pharma delivered ads directly to their providers. Honestly would you want a drug rep sitting in the exam room with you and your doctor? Many large clinics and university teaching clinics have banned pharma reps and drug detailers from visiting their providers since there is no net value to the patient and no one really believes that it is “education” so this end run by pharma to control the desktop will be short lived. Agree – not sure the doctors love them that much either ! It would be better if the doctor behavior data collected by the EHR is used to decrease costs (and improve quality). This is something like what Lumeris was looking at, if I understand their model (/20… These cost savings could then be used to incentivize physicians or subside the EHR, rather than advertisements. Good article. I agree that web-apps won’t “kill” native apps, but I think the capabilities of web-apps are underestimated. For one thing, it is completely possible to create a web-app that functions while offline. How well this works depends on the type of app of course, but it’s completely possible. To give you an idea, I am currently working on a side project that is a fully installable Chrome-app. It’s a “web-app”, except there is no “web”. I haven’t written a single line of server code. In fact there is no server, period. Things are changing very fast in the world of browsers. Desktop notifications, hardware accelerated graphics, vector graphics, 3D, multi-threaded code, background programs, deeper interaction with the OS and hardware are all here, being worked on now, or simply inevitable.